While the small remaining number of full-size sedans keep getting younger and more sophisticated, FCA’s Dodge Charger and Chrysler 300 carry on year after year with continuous improvements. But no major redesign since they arrived on the market in 2004. Is that such a bad thing? Well, no, although it depends on how well the chassis can stand the test of time. In the case of the 300, it’s Chrysler’s LX/LH platform, which was created using various Mercedes-Benz components. Remember when the company was called DaimlerChrysler? That’s when it happened. The latest generation of the Ford Taurus has been around since 2010, the current Toyota Avalon and Chevrolet Impala are only a few years old, and the Nissan Maxima was totally redesigned last year. 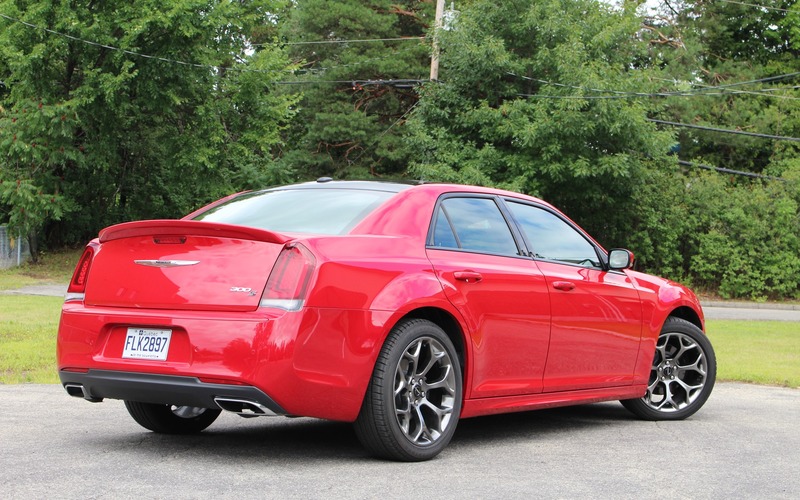 In contrast, the 2016 Chrysler 300 and Dodge Charger ride on a structure that was engineered more than 12 years ago, and it’s still perfectly suited to the cars’ mission. The 300 is equipped with FCA’s widespread 3.6-litre V6 engine, matched to an eight-speed automatic, and all-wheel drive is optional. The six-cylinder’s output of 292 or 300 horsepower is more than enough for the daily commute. 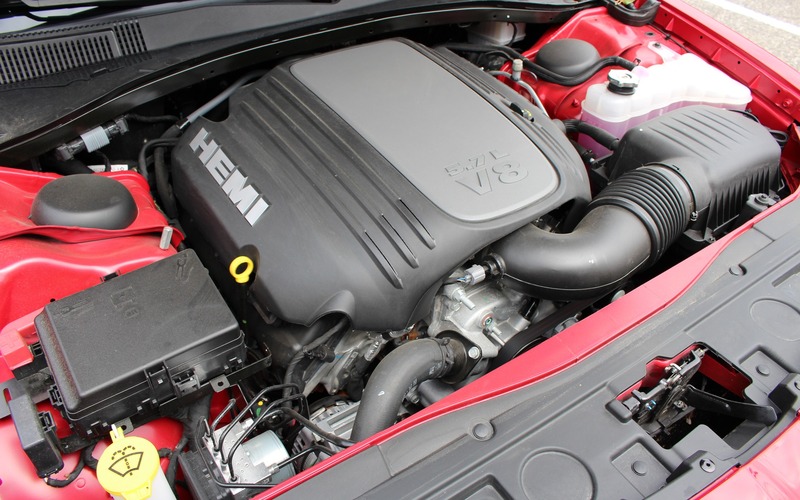 However, our 300S tester was upgraded to a 5.7-litre HEMI V8. Those (like me, admittedly) who still love the power and the sound of a good old V8 don’t have many options left, unless we’re willing to dish out big bucks on a German luxury sedan. In the mainstream full-size sedan segment, only the 300 and the Charger still offer one, the rest rely on four-cylinder or V6 firepower. The HEMI V8 produces 363 hp and 394 pound-feet of torque, providing the big sedan with blistering performance, but also utter smoothness when its driver isn’t pressing the right pedal firmly against the firewall. The eight-speed auto works seamlessly, and its response time is sharpened by twisting the transmission rotary dial to the S position. 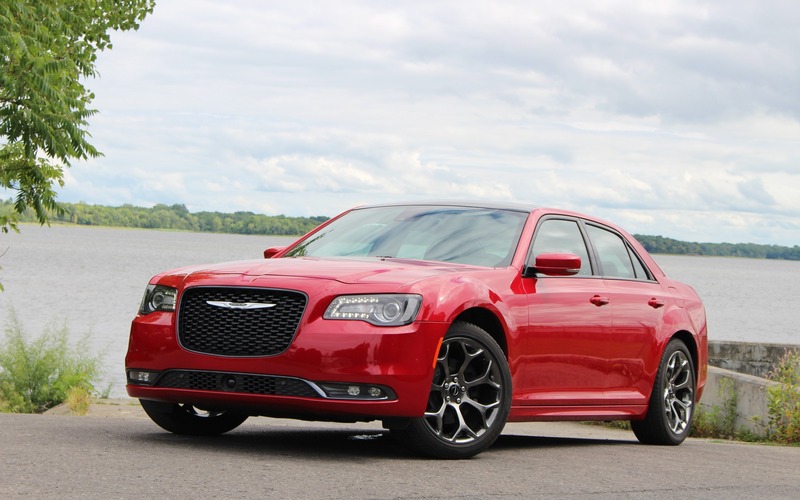 The 2016 Chrysler 300 does have certain sportiness to it, but it’s not the performance-oriented sedan that its Charger cousin is. FCA even retired the 300 SRT version, leaving the Dodge brand and the Jeep Grand Cherokee as the remaining recipients of high-performance hardware. Still, the 5.7L engine won’t leave anybody wanting for more muscle. As expected, the V8 consumes a good amount of fuel, but it does include a cylinder deactivation system when we’re cruising comfortably on level ground. During a quick back-and-forth trip from Montreal to Toronto, we averaged 9.1 L/100 km, which isn’t bad at all. However, driving around town raised the overall average to 11.0 L/100 km. That’s probably the best we can do with a V8-powered 300. Over time, the 300’s cabin accommodations were upgraded with richer materials and more rigorous build quality. FCA still has a lot of work to do in that regard, in addition to the overall reliability of their products, but the presentation in the Chrysler is tasteful and straightforward. We noticed no squeaks or rattles in the car’s cabin, and the switchgear feels refined and solid. The driver instrument panel includes a digital information centre which is much more legible than the dark blue numerals on the speedo and tach. The Uconnect 8.4 infotainment system is easy to use, with a very reactive touchscreen and big button zones. Simply put, it’s one of the best interfaces on the market. As for the recently introduced, 10-speaker BeatsAudio system, its boasts decent sound quality, but didn’t blow us away. The 19-speaker, harman/kardon system in the 300C might have. During our 24-hour, 1000-km road trip, the 2016 Chrysler 300S’ seats proved both comfortable and supportive. A few upscale features found in option groups make life easier on board when multiple drivers take turns behind the wheel, such as the power tilt and telescoping steering column. The panoramic sunroof fills the cabin with light and brightens the mood for rear-seat occupants. Despite the 300 being a large sedan, three people sitting back there won’t be truly at ease, as the middle passenger must cope with a large transmission tunnel. On the road, the car’s ride is surprisingly refined and quiet, especially given the age of its platform and mechanical components. Trunk volume is rated at a fairly roomy 462 litres. We really like the 300S’ monochrome appearance, which looked even hotter painted in red with the optional blacked-out roof. The 20-inch Hyper Black wheels also gave the car some extra street cred, but replacing those Firestone Firehawk gumballs will be costly. Speaking of cost, a base 2016 Chrysler 300 Touring starts out at a rather high $39,995, before adding freight and delivery charges. Our 300S, loaded with the V8 engine and pretty much all the available options, jacked up the price to $52,720. That’s a lot of dough, although a similarly equipped Ford Taurus SHO will cost about the same. However, here you get a spacious and comfortable sedan with a V8 engine, one that can still hold its own in its segment despite the old bones. As we said before, there is more modern machinery in the large sedan class, and the 300 might feel as if it was stuck in time, yet the typical buyer of these cars might not be hell-bent on the latest technological gadgets. We’re curious to see what FCA will do with the Chrysler 300 when the inevitable time comes when it will need an overdue redesign, but meanwhile, we still like the current 300 a lot. The availability of a HEMI engine makes it that much more enjoyable.